What Are the Best Places to Go Fishing in Costa Rica? Both Costa Rica’s Caribbean and Pacific coasts boast of bountiful varieties of fish. The aquatic regions of this country lure those keen on fishing whether amateurs or professionals. 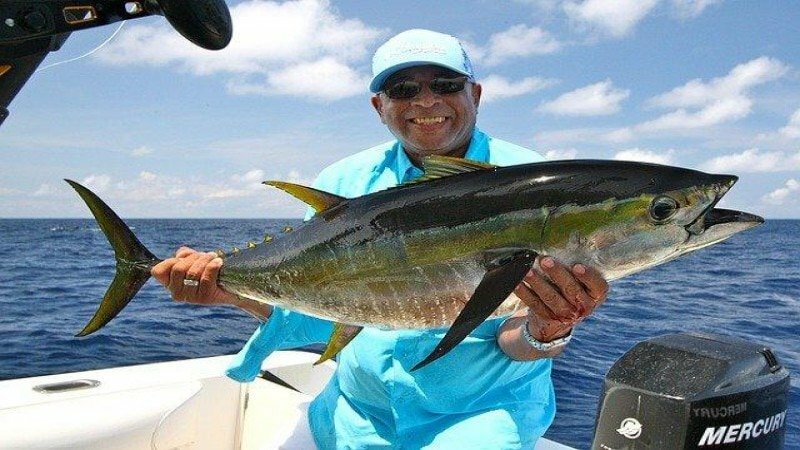 Procure a fishing license from the local authorities to cover the duration you intend indulging in this sport. Located in Jaco, this government sanctioned marina has a fleet of luxury boats and fishing yachts. The ideal months to catch and release fish like Black/Blue Marlin, Rooster, and Sailfish into their natural habitat are December to March. Situated in the main town of Quepos, this large marina is famous for sailfish. Being rich in marine life, the region also boasts of Marlin, Snapper, Dorado, and Rooster fish. Quepos is near the national park in Manuel Antonio. This makes it convenient to head for a rainforest adventure after your fishing expedition. Literally translating into ‘sweet gulf’, Gulfo Dulce is in the southern-most region of the Osa Peninsula. Multiple freshwater streams and rivers empty themselves into this bay making it perfect for the best fishing in Costa Rica. This area has strict fishing regulations, is highly protected, and densely populated with a variety of fish. Among the popular catches within this zone are Snapper, Grouper, Trevally, Cubera, Amberjack, and African pompano. Costa Rica’s northern Caribbean coastline is remote and can be accessed only by a small plane or boat. It is teeming with fish and is populated with sea turtles spanning all four species. You can find a tarpon weighing over 100 pounds in Tortuguero. Healthy varieties of freshwater fish are also in abundance during the months of February to May followed by September and October. An excellent part of the year to fish in this northwestern region of the country is from June to October. Built with the primary aim of conserving the environment, Marina Papagayo is the youngest marina in Costa Rica. In this gulf, you find Tuna, Marlin, Dorado, Sailfish, and the biggest sizes of Roosterfish. Considered one of the leading destinations for deep sea fishing in Guanacaste, the type of fish you catch in Tamarindo varies across months. While snapper is constant year-round, the season for black and blue marlin is from May to September. Sailfish is prevalent during April to August and Yellowfin Tuna is found in abundance between June and September. Costa Rica is an angler’s paradise where you can indulge to your heart’s content. What Makes Jaco Costa Rica A Perfect Place for Nightlife Enthusiasts?